You folks have shot a ton this year…literally! Probably more like 2 tons. And we have to get that lead removed. 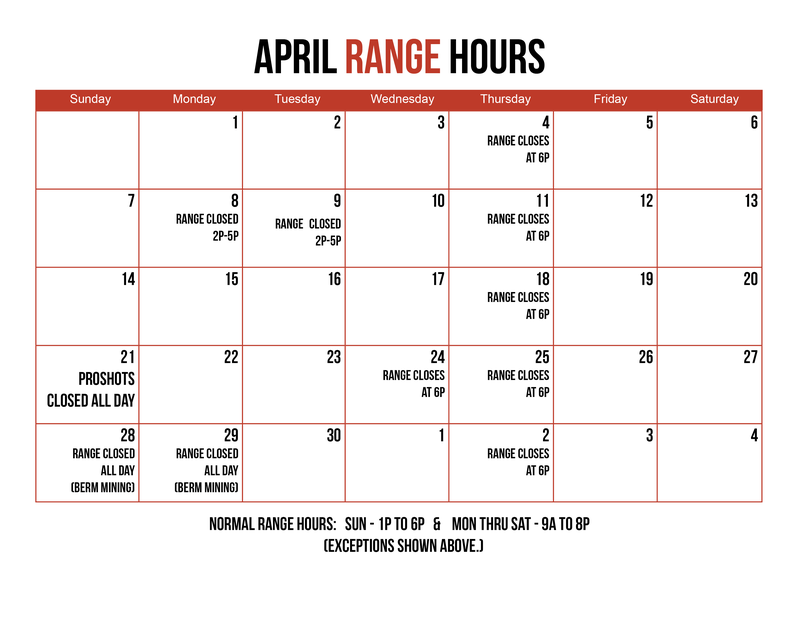 We will close the range April 28 and 29 to have the berm mined. This reduces the risk of ricochets while you are shooting and prevents lead dust from being created when one round strikes another. The retail store will be open normal hours while we work to keep our employees and customers safe!